One of the most enigmatic characters in triathlon, Pete Coulson is also one of the most successful coaches in the history of triathlon. 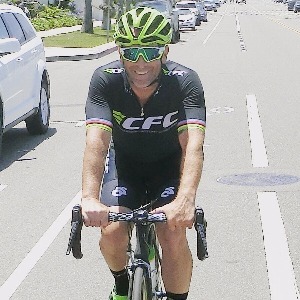 Originally from Australia (and trained there as a junior at the Australian Institute for Sport), Pete Coulson arrived in the U.S., bringing an experience in training that would shape the lives and careers of several of the most successful triathletes in the world. Pete’s body of coaching work speaks for itself, working with successful pro triathletes Craig Alexander, Chris McCormack, Michellie Jones, Annabel Luxford, Heather Jackson and Matt Reed. He has also worked in tight concert with aerodynamics expert Simon Smart in understanding the technology to best mate athlete with equipment for optimal performance. The result? Pete led his athletes to a pair of ITU World Championship titles, a silver medal at the 2000 Sydney Olympic Games, wins at Wildflower and an impressive four Hawaii Ironman world titles. In total, Coulson had a hand in over 200 victories across triathlon and AMA Supercross. With fitness proving invaluable to the best athletes in motorsports, Pete’s expertise has segued seamlessly to Motocross, recently coaching AMA Supercross star Davi Millsaps. Beyond that, Pete is an accomplished athlete in his own right, having earned three Masters World Champion titles on the velodrome. Success. Coach Peter Coulson has been notified of your message.